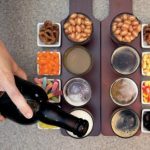 Thanksgiving Beer Pairings | What's Brewing? Thanksgiving is always a welcomed date on the calendar. Not only does it ring in the beginning of the holiday season and the expansion of waist lines, but more importantly, it brings family and friends together around the dinner table. While traditions vary from family to family, historically this very American holiday has featured savory and sleep-inducing foods. And of course, any holiday that features Americaâ€™s new pastime, the NFL, will inevitably feature Americaâ€™s favorite beverage: beer! 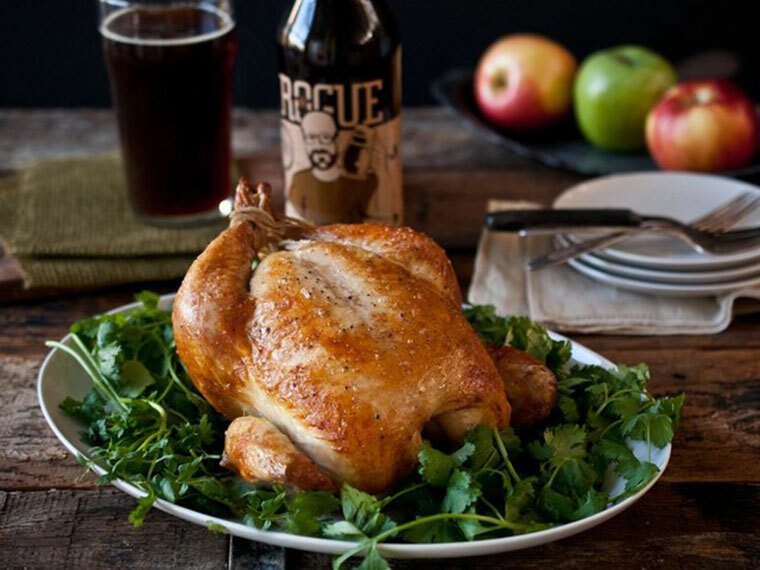 Savory foods- Classic courses of turkey, mashed potatoes and gravy and stuffing are easily paired with a rustic saison. Saisons feature wild yeast strains like Brettanomyces and bring a wide range of earthy flavors and aromas that pair extremely well with umami-heavy foods. Dry and usually highly carbonated, this style is light to medium in body and does a great job of cleansing the palate, allowing for consumption all day long. Just be careful: while brewers of this style back during the days of the first Thanksgiving brewed the beer to low alcohol content, modern brewers have significantly raised the ABV. Itâ€™s common to see Saisons between 7-9%, so mind your Pints and Quarts! Sweet courses and desserts- Fans of pumpkin pie, pecan pie, and sweet potatoes will be happy to know that there are likely still plenty of seasonal pumpkin beers available in retailers. These spiced brews have become increasingly popular in recent years and feature lots of pie-like flavors. Brewers are more likely to use allspice, cinnamon, ginger, brown sugar and vanilla in their recipes than they are to use actual pumpkin! This leads to a wonderful complimentary palate that pairs well with all your favorite fall sweets. 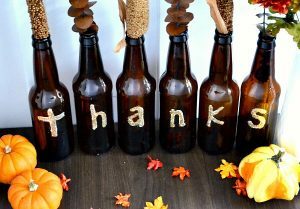 These offerings also have a great appeal to those around your table who may not usually drink beer. Smoky foods- A very welcomed culinary trend in recent years in America is a vastly expanded use of bacon. It is very likely that youâ€™ll find at least one offering on the table that features salty and smoky pork. Malty German lagers like Marzens and Dopplebocks provide a lovely accompaniment to bacon; the semi-sweet malt flavors of caramel, toffee, figs and dates help to make the salty character of the bacon sizzle on your palate. While often more difficult to find, German Rauchbiers also feature smoked malts, lending their own inherent smoked flavors.